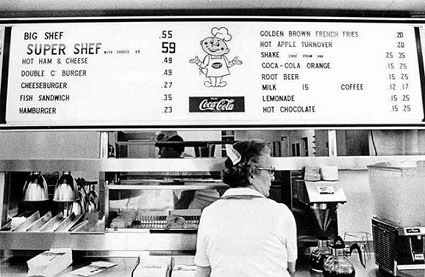 The answer to all 4 trick questions, is Burger Chef! 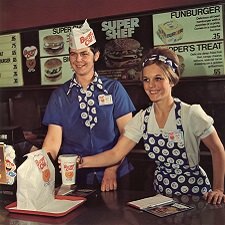 If you're under 40 (and aren't a fan of Mad Men), you've probably never even heard of the restaurant chain, considered to be one of the most innovative competitors that challenged McDonald's back in the 1960's. While designing a custom broiler the founders, Dave and Frank Thomas, decided they'd compete with Burger King directly instead of supplying them. The brothers began franchising locations in 1954. 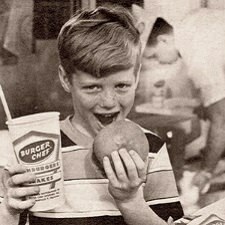 In 1968 General Foods acquired BC & it had 600 locations in 39 states. At its peak, there were 1,200 locations 2nd only to McDonald's! 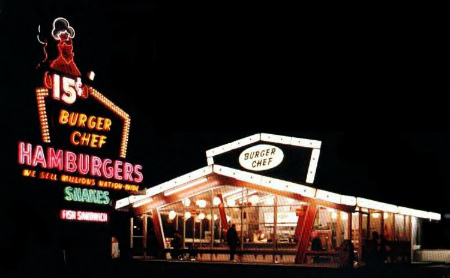 With the financial resources of General Foods and cutting-edge innovation, by 1973 Burger Chef seemed poised to take-over McDonald's foothold in the industry. 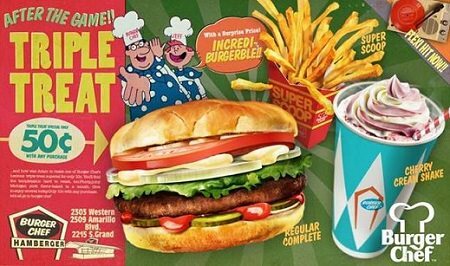 Instead, it went downhill with General Foods selling the business to the owners of Hardee's in 1982, taking a $75 million write-off. 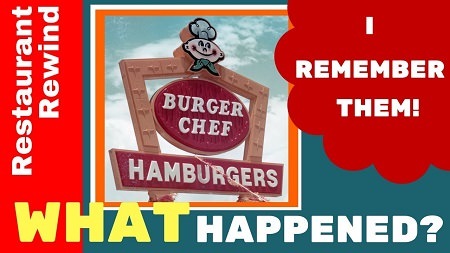 By 1996, Burger Chef was gone.